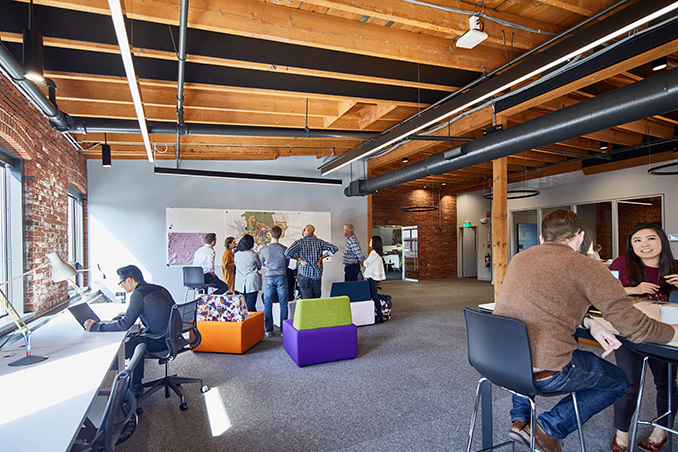 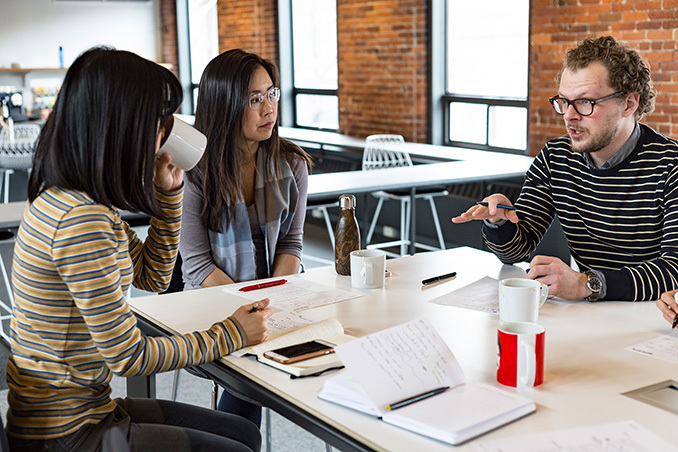 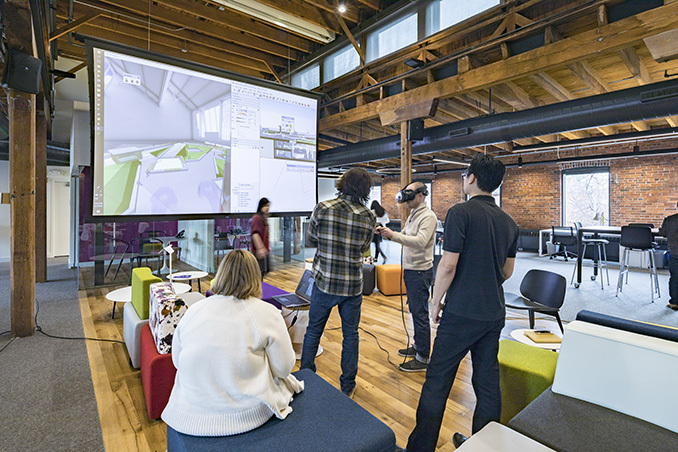 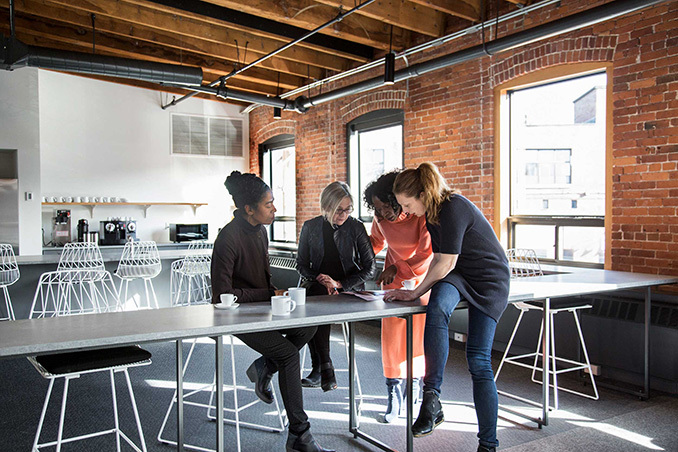 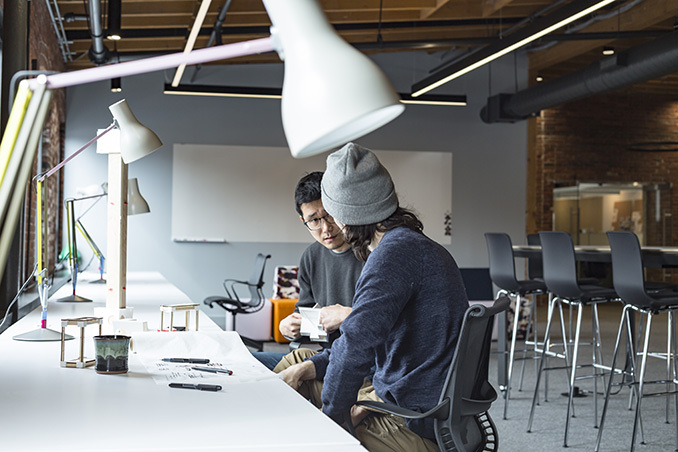 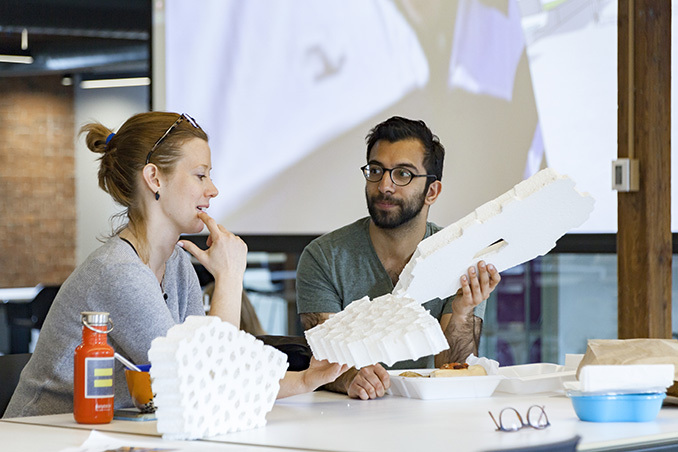 The Incubator at Sasaki is a 5,000 square foot flexible research studio and shared workspace that connects collaborating researchers and innovators with the unparalleled resources of the firm’s design studios. 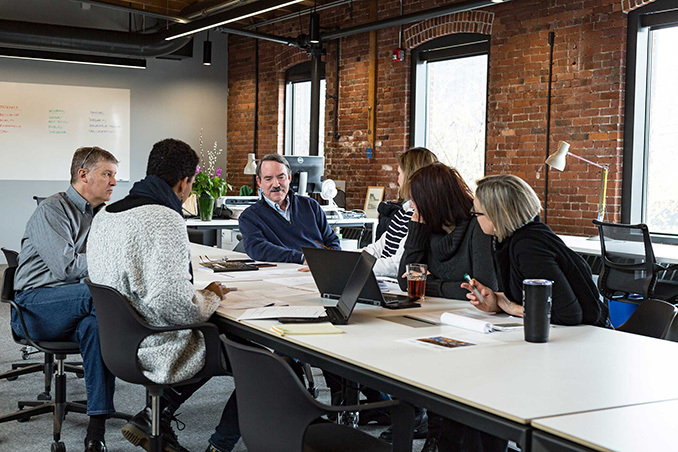 The Incubator is embedded within Sasaki’s Chase Mills riverfront campus and represents a major investment in the firm’s continued commitment to open-source interdisciplinary design and research. 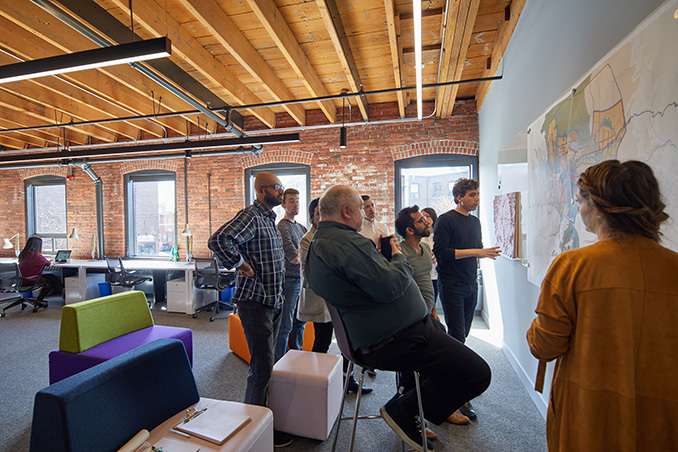 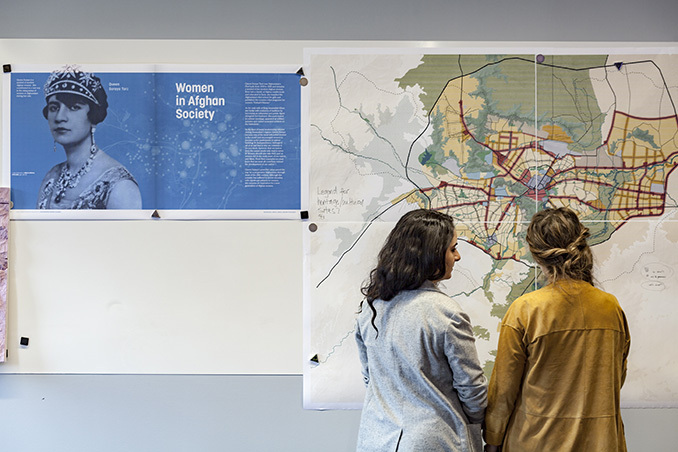 The Sasaki Foundation serves as the steward and convener for this facility: activating it with public programs, facilitating research initiatives, and inviting new teams and ideas to join. 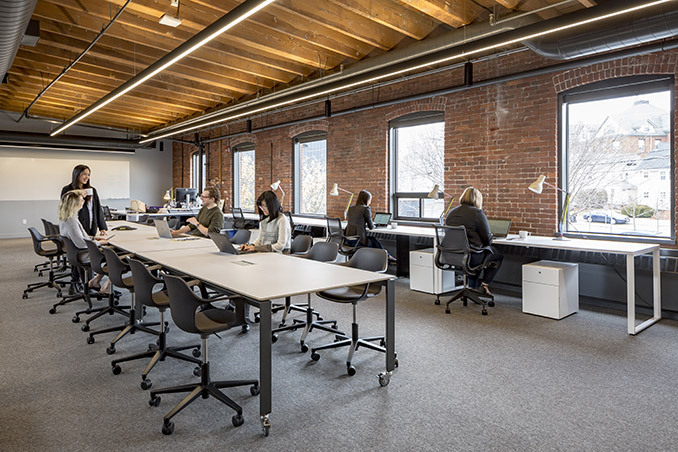 Open and airy, the Incubator punctuates the historic charm of this old mill building by balancing new with old. 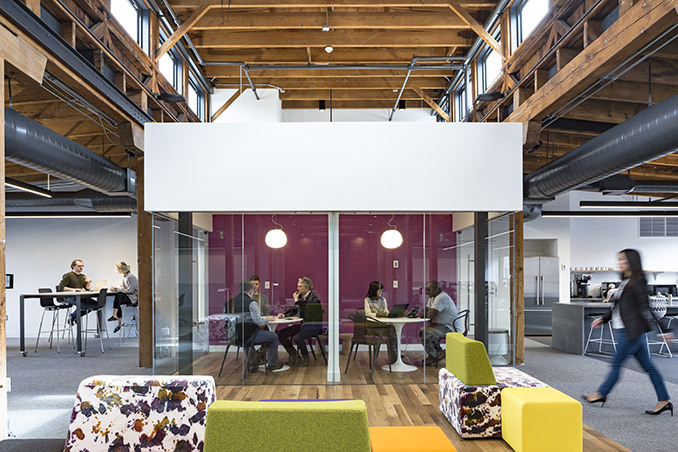 The nave-shaped space is flanked with workstations for both focused work and team-driven projects. 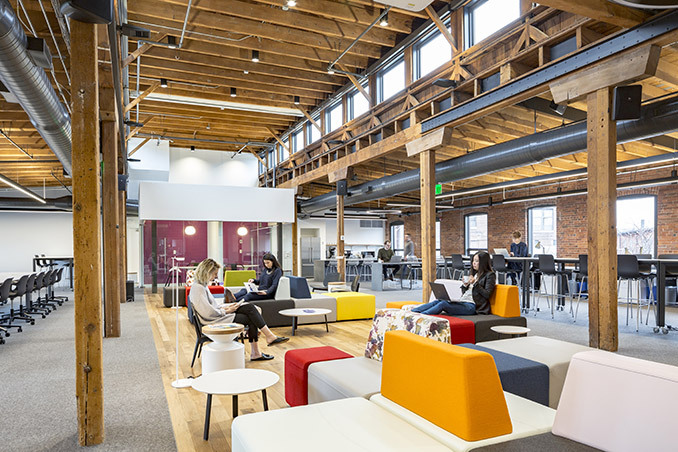 The clerestory-lit center lounge space, populated with a colorful array of modular furniture pieces, is a flexible space that can be transformed to accommodate a range of functions, from lounging and reading to large public meetings. 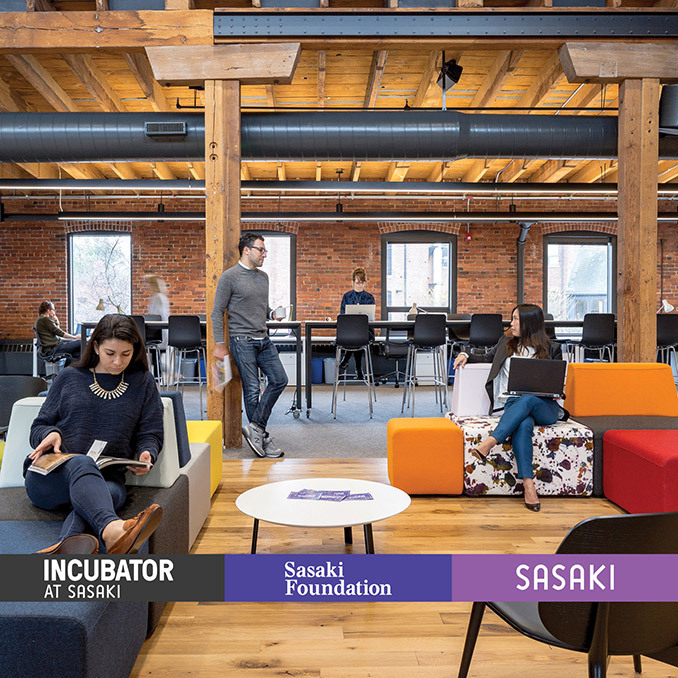 “The Incubator was designed to support and empower our most valuable asset: our vibrant and creative talent; and to ensure that Sasaki’s culture is continually regenerated by diverse perspectives and fresh ideas from the broader academic and professional community,” says Christine Dunn, AIA, Sasaki Principal, architect, and lead designer of the Incubator. 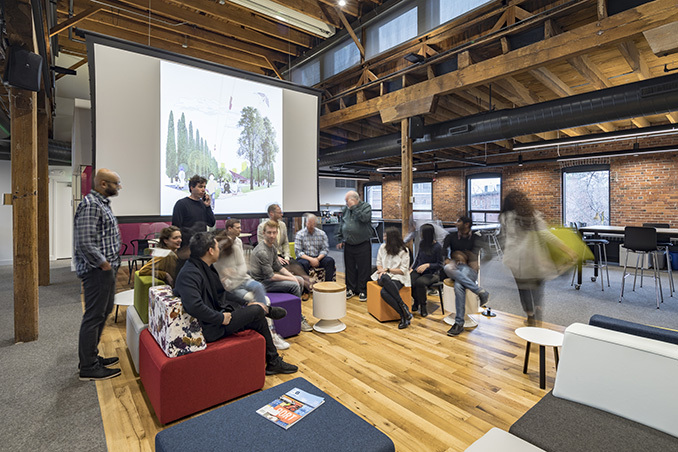 The Incubator is jointly convened and curated by Sasaki and the Sasaki Foundation, the non-profit research arm of the firm.